"Death can be a destabilizing force. And when it touches you closely, you must somehow discover a way to find and rebuild your secure home," popular yoga instructor Mary Paterson writes. With the death of her father, she felt as if she had no place to stand. She had lost her home. Paterson's response to this life crisis, was to embark on a pilgrimage to Plum Village, the retreat of Nobel Prize-nominated Buddhist monk, Thich Nhat Hanh. 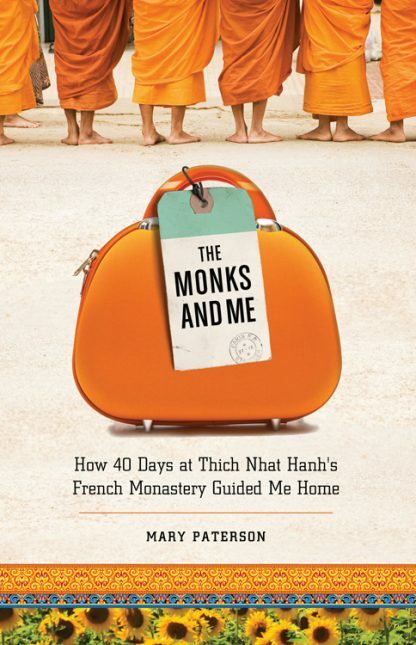 This wonderfully frank and funny chronicle of her 40-day sojourn offers readers the 40 Buddhist precepts that she learned. The primary theme is the necessity of discovering how to "take refuge" or find a permanent home within ourselves--without taking oneself too seriously. With chapters such as The Lesson in a Bad Fish, The Man Who Nicked My Headphones, How a Monk Washes His Face, and How Not to Be Sneaky, this lyrical, wise, and witty personal journey book is inspirational and a joy to read. Paterson's sensibility is grounded, realistic, and engaging.